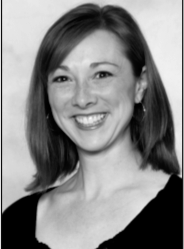 Terri Cupp graduated from Ball State University in 2000 with a degree in Dance Performance and a minor in Educational Dance, and performed with Ball State Dance Theatre for three years. In addition, she graduated in December 2006 from the University of Indianapolis with her masters degree in Occupational Therapy and works as a pediatric occupational therapist. Terri is married to David, an Avon High School teacher and girls’ varsity basketball coach, and they are parents of Noah, Mariah and Aaron.